Did You Know: Cockroaches contaminate food, utensils, and furnishings and they are the carriers of diseases such as Gastroenteritis and Dysentery? Gastroenteritis: When you have diarrhea (running stomach) and vomiting, you can say that you have the “Stomach Flu”. Dysentery: Inflammation or swelling of the intestines accompanied by bloody diarrhea. There are two types of cockroaches, The American and German cockroach. The American cockroach is associated with its size as it is one of the largest of the cockroach family. These are generally 4cm in length and are red brown in colour. The German cockroach on the other hand is flat and smaller in size. These measure in at 1cm to 1.5cm in length and are light brown in colour. 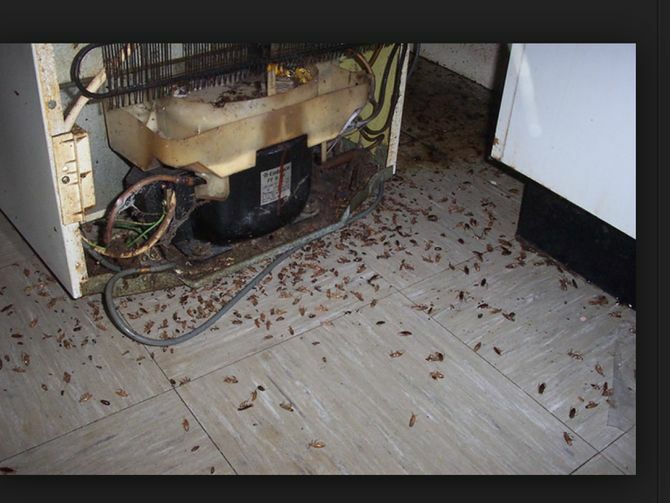 These cockroaches can be found in warm moist areas which contain food or unoccupied dwellings. They also occupy sub floors and roof areas away from human activity. Cockroaches can survive months without food and has a preference for decaying (old food in rubbish bins) waste. Remove food residue (bread crumbs, vegetable peels, etc.) in and around the kitchen area, especially near the fridge and freezer. Fix leaks, especially from hot water systems.